Ryan Giggs's Wales side will face Luis Enrique's Spain for the first time in over 30 years, as the two sides face up against one another at the Principality Stadium on Thursday night. Thursday night will mark the first time that Wales have played at the Principality Stadium since 2011, and the encounter with Spain is a mouthwatering prospect. Jonathon Ford, FAW Chief Executive said, "We are delighted that we will playing against Spain, arguably the most successful international side in world football during the past few years." He told the ​Official Wales website. “This is a fantastic opportunity for our supporters to see a great team and world class players. We want to provide everyone with the opportunity of watching the game and playing at the Principality Stadium enables us to do so." 🏴󠁧󠁢󠁷󠁬󠁳󠁿 #Wales have been training at the @principalitysta today in preparation for their match against #Spain tomorrow evening. ​​With both sides involved in the UEFA Nations League, Wales and Spain are expected to contest this in a competitive manner in preparation for next week's fixtures, as Wales face Republic of Ireland and Spain go up against England. Wales come into Thursday night's fixture having played just four matches in 2018. Prior to this, Wales faced France and Panama in international friendlies in the back end of 2017, losing 2-0 away to France, before drawing 1-1 with Panama at home, under former boss Chris Coleman. 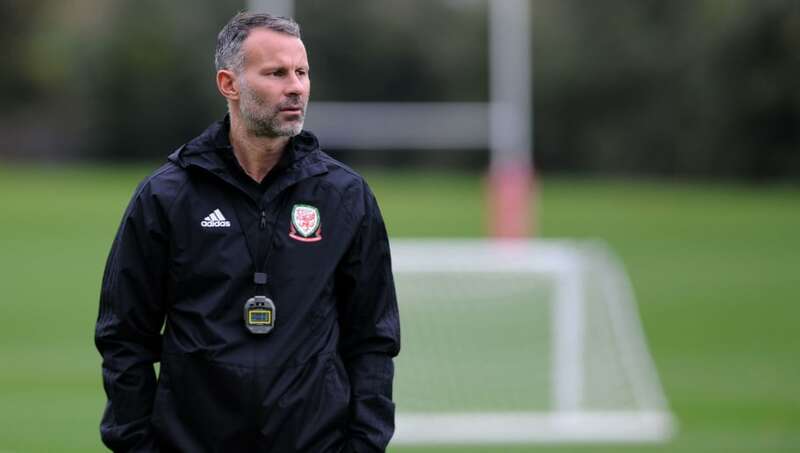 Ryan Giggs was appointed the manager of the Wales national side on 15th January 2018, and in his first competitive match led his side to a convincing 6-0 victory over China. A second away fixture followed, as Giggs took his Wales side to face Mexico in what resulted in a goalless affair. Next up for Wales was the opening match of the UEFA Nations League in group B4, where they confidently dispatched Republic of Ireland 4-1, before losing 2-0 away to Denmark. After the controversy that circled Spain in relation to the 2018 Russia World Cup, which saw Julen Lopetegui lose his job on the eve of the tournament, Spain are unbeaten. Playing out a belter of a match against close rivals Portugal, finishing 3-3 thanks to a Ronaldo hat-trick, Spain went on to beat Iran 1-0 but curiously drew 2-2 with Morocco, as they eased into the Round of 16 far. Spain followed up with a 1-1 draw against tournament hosts Russia, who prevailed, knocking the competition favourites out on penalties. Spain then began their UEFA Nations League campaign, as they travelled to Wembley to take on an England side who had surpassed expectations by reaching the World Cup semi-final. Spain prevailed 2-1, albeit with a large slice of luck as Danny Welbeck's last minute equaliser was wrongly chalked off. Spain's most recent fixture was a 6-0 trouncing of World Cup finalists Croatia. Little over a year ago the on-loan Liverpool striker became the toast of Wales, after scoring a precious winner over Austria just five minutes into his international debut. Woodburn who is Liverpool's youngest ever goal-scorer, clearly has untapped potential, yet so far his promise has failed to materialise into anything concrete. However, big players make themselves known in big matches, and with Woodburn turning 19 next week, this could be the time he steps up. Marcos Alonso on the other hand, has been a standout player for Chelsea over the past few seasons and is rightfully casting himself for the position of the world's best left back. The Spanish defender, who has scored one and assisted twice already this season, evidently possesses an attacking arsenal that modern day fullbacks require. Wales will be unlikely to risk Gareth Bale after he picked up a knock for Real Madrid last weekend. Giggs will also be without Aaron Ramsey and Tyler Roberts, who missed Monday's training session after club involvement and are unlikely to start. Sam Vokes is predicted to start up top whilst Ethan Ampadu should continue for the Dragons, despite his lack of club game time. LIVE MATCH HUB: Get all the latest info ahead of @Cymru v #Spain at the Principality Stadium over on the website. Spain are also without some big names for the game against Wales. Isco, Dani Carvajal, Sergi Roberto and Diego Costa all missed out on call-ups for Spains squad to face Wales and England due to injuries, but have more than enough strength in depth to cope. ​Wales: Hennessey; Gunter, Mepham, Williams, Davies; Allen, Ampadu; Woodburn, Brooks, Lawrence; Vokes. Spain: De Gea; Azpilicueta, Ramos, Nacho, Alonso; Rodrigo; Saul, Thiago; Suso, Moreno, Asensio. Despite Spain missing Isco, Dani Carvajal, Sergi Roberto and Diego Costa, the strength of their replacements more than cover any absentees. Both sides will have one eye on their upcoming UEFA Nations League fixtures but it's expected that Spain to continue their good form and leave with a resounding victory.